‘What we need is intelligent, informed discussion and looking for solutions rather than the confected outrage and anger’ – Olga Havnen, Dilba Health Service CEO, @sunriseon7 this morning. 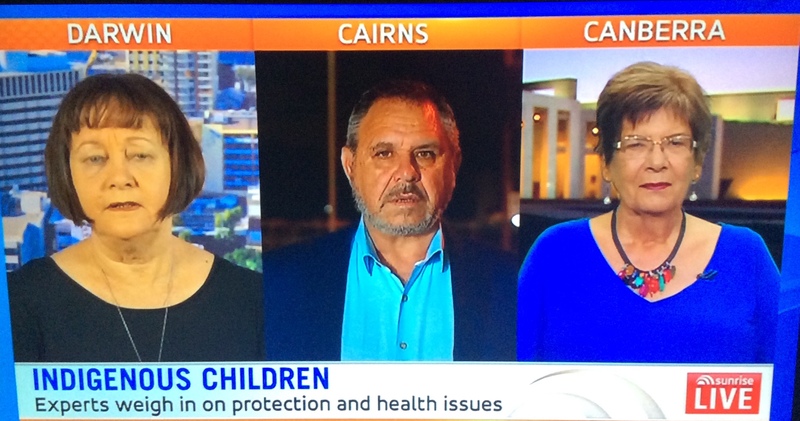 Sunrise has conducted an eight-minute mea culpa after last week’s controversial discussion about Aboriginal adoption. The Sunrise studios in Sydney have been swamped by protesters furious over the program’s segment on Aboriginal adoption earlier this week. One of those experts included Dilba Health Service chief executive Olga Havnen, who corrected Sam Armytage’s statement last week that non-Indigenous families are unable to adopt Aboriginal and Torres Strait Islander children. “There’s absolutely no prohibition or restriction on the ability of non-Aboriginal people to care for children,” she said. “Either as foster carers or in permanent adoption.”As the panel wrapped up, Kochie suggested the experts and Sunrise work together to inform Australians about how the childhood protection system could be improved. “What we need is intelligent, informed discussion and looking for solutions rather than the confected outrage and anger,” she said. Last week, Samantha Armytage took to social media to claim media coverage of the controversial panel was “hysterical”. However, on Tuesday she struck a much more cheerful note. Three panellists who are experts in their field joined us to discuss.